Counterfeiting are not limited to works of art, it applies to cars too. In the vintage car scene it is primarily old sports cars that are sought-after, with sale prices reaching into the millions. However, the cars on sale within the so-called Classic Cars market are not all originals. Professional companies now restore vehicles to perfection. 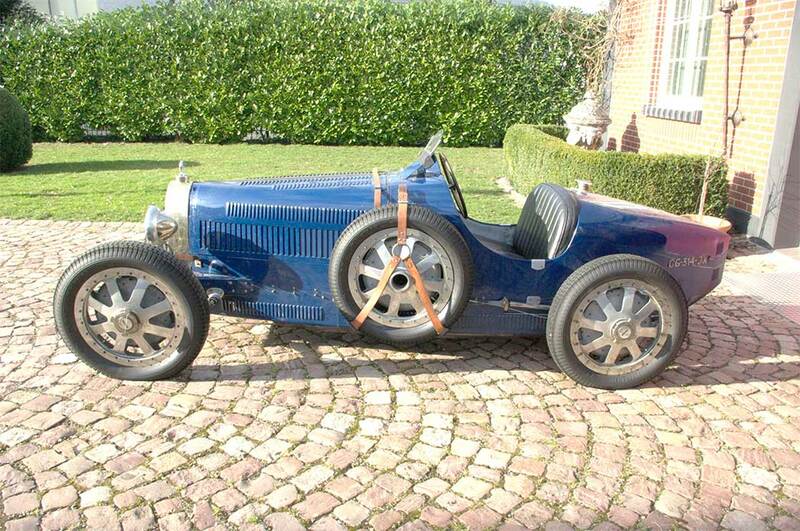 They are able to reproduce almost all parts new, including the chassis, to a high level of detail, and can even completely replicate old racing cars as old as almost 100 years. However, in case you are in any doubt, these are only worth a fraction of the price that an original will cost. 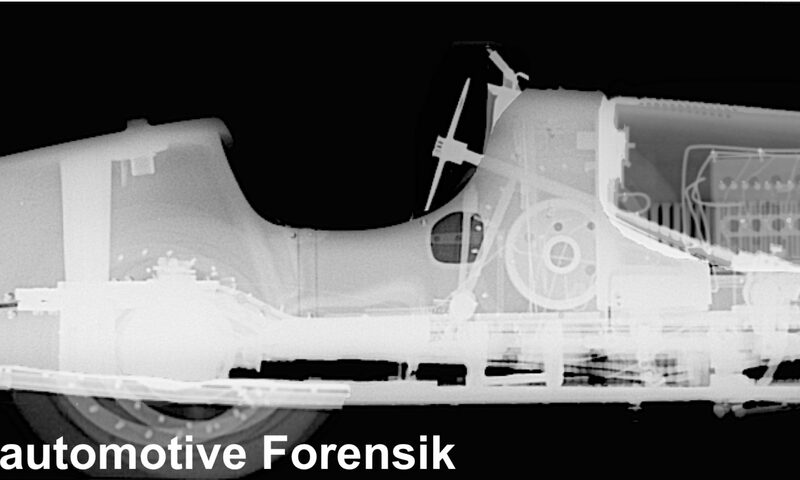 The Institute for Automotive Forensics focuses on the development of methods by which to differentiate an original from a counterfeit and conducts material test. Some changes to the car are common and obvious – for example when a more powerful engine from the top-of-the-range model is installed in a normal, standard vehicle. 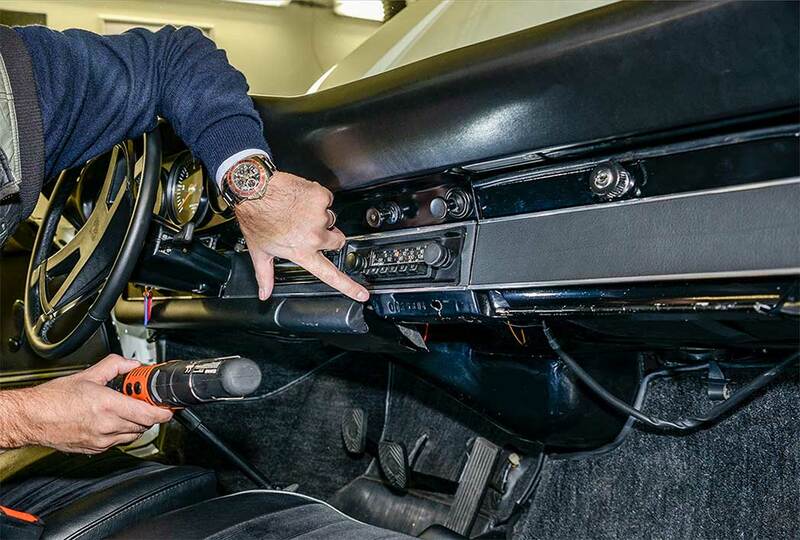 If you alter the chassis, mount the appropriate decorative panels and trims and install a different interior, a Golf CL – all of a sudden – becomes a highly sought-after Golf GTI. Although these are identical on the outside, the vehicles differ vastly in terms of value, as only one of the two bears the Identity of the true “GTI”. Porsche 911 E, T or RS? In the case of the so-called Porsche F-Model from 1973, a comparable conversion can be more cost-effective, with the Porsche Carrera 2.7 RS currently the most valuable variant of the vehicle. In actual fact, it requires relatively little to easily convert a Type E or T donor vehicle into an “RS”. One that is not in great condition will set you back €100,000. On top of this there is the conversion of the engine, changes to the bodywork and the procurement of typical RS details such as different seats, instruments, chassis etc. For specialist the conversion can be carried out without any problem, as the specific details are well known and all of the required replacement parts are available or reproducible. The costs for the conversion add approx. €180,000 to the purchase price. That makes a total of €280,000 – with a genuine “RS” currently available on the market for up to 1 million euros. But be careful! The converted vehicle lacks the identity of the original, which is an important factor contributing to the higher value. As a result of this, so-called “Identity Trading” has become established within the market. Parts from a demonstrably scrapped or untraceable vehicle are retrieved, in a best-case scenario this would ideally be the part of the frame with the embossed chassis number. Drawing on the example of the Porsche Carrera 2.7 RS, a so-called “free” identity currently costs around €100,000. This “free” identity is then transferred over onto the donor vehicle, that is, new numbers with a “genuine” RS identity are embossed and the Porsche doubles its value within a few minutes. If the vehicle history does not allow conclusions to be drawn with regard to the vehicle’s authenticity with any degree of certainty, special test methods come into play: numbers altered by grinding and stamping over the top can be uncovered using magnetic/optical procedures or an X-ray. Radiography techniques also help when looking for atypical weld seams. In order to locate differences in thickness, an ultrasound scan can be used. If, in particular, the chassis number is ground off and a new one stamped over the top, for example, the corresponding metal component will be thinner than that on the original vehicle – whereby databases or identical, verified originals can serve as a reference. Ultrasound measurement is also suitable as a means of checking that various components are authentic. In addition to wall and layer thicknesses, cavities can also be measured. X-rays and ultrasound have limitations when large-scale sheet metal and frame components have been replaced. The frame and chassis themselves can provide indications as to their age based on their alloy and the degree of hardness. Using test procedures such as hardness testing or spectral analysis, carbon and other alloy components can be identified and analysed in a matter of seconds. Old steels are generally not as pure as new ones. In particular, high carbon content and a high phosphore and sulphur content are indications of old material. This method of examination has been used by the IFAF, on a 1933 Alfa Romeo to name but one example. Measurements were carried out on parts of the bodywork with a view to proving the authenticity of the vehicle. All of the identified procedures are non-destructive. Forensic investigative measures such as these of course have their limitations. The restoration of a car often requires the large-scale replacement of worn-down parts and the associated systemic, major counterfeiting of the base substance. In such cases new material must be identified by means of spectral analysis, even in the case of a car with a clearly assigned and uninterrupted identity. Precise documentation of the restoration work is therefore important so that critical questions regarding vehicle identity do not arise. 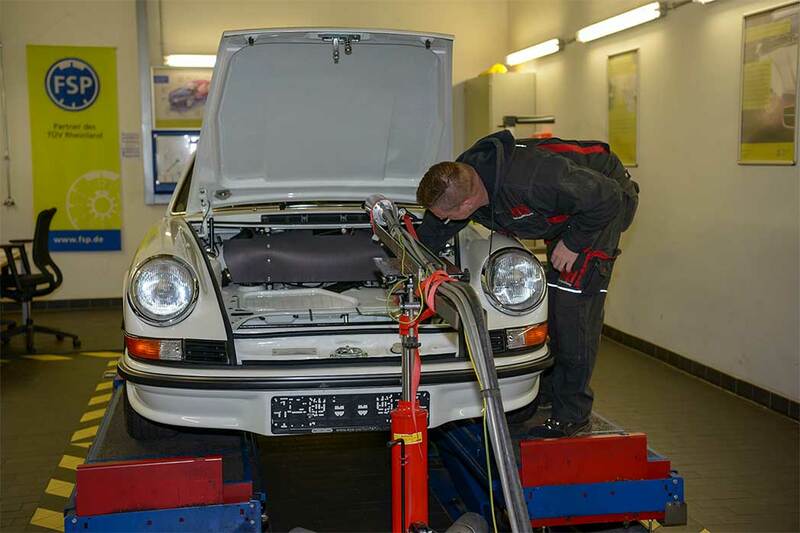 The Porsche Carrera 2.7 RS examined by FSP incidentally proved to be genuine through and through – to the great joy of the owner, who can now prove the value and identity of the vintage car with the help of an FSP expert opinion.